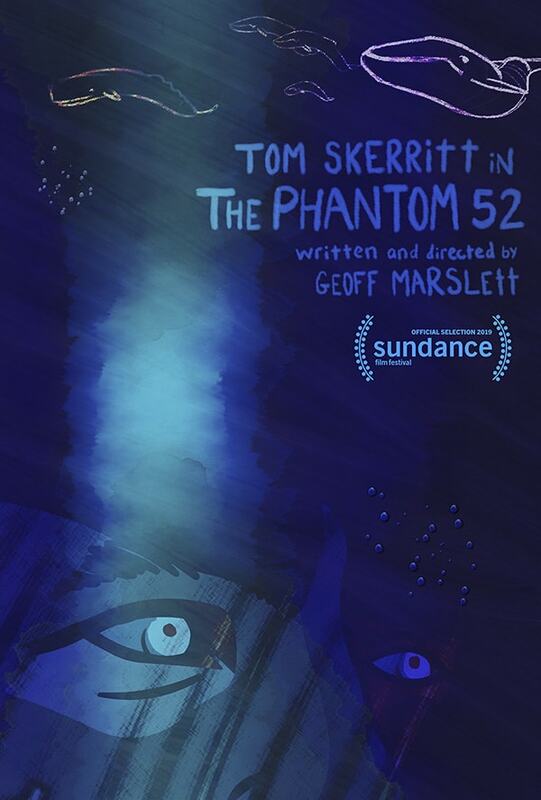 Geoff Marslett’s film, “The Phantom 52,” has been selected for the “Animated Short Films” category at the 2019 Sundance Film Festival, which takes place Jan. 24-Feb.3 in Park City, Utah. Marslett is an associate professor of film and television in Carnegie Mellon University’s School of Drama. “The Phantom 52” tells the story of a lonely truck driver calling out into the abyss on his CB radio. The piece includes imagery of a whale that has been heard in the ocean, calling out at a frequency of 52hz, a frequency no other whales can hear. It was one of only four, American-made films included in this year’s animated shorts category. In 2015, a producer interested in purchasing several of Marslett’s shorts saw the draft animation for “The Phantom 52.” He really wanted to make the film and helped bring acclaimed actor Tom Skerritt on to do the voice of the lonely trucker. While entrance into Sundance won’t necessarily change an artist like Marslett’s career overnight, the brand recognition helps. Premiering in Park City gives the festival run of a short animated film a longer lifespan and acts as a sort of virtual advocate. The likelihood that “The Phantom 52” will show at 70 to 100 film festivals internationally is much higher now with a Sundance pedigree. Marslett also knows that this opportunity makes him a better professor. Carnegie Mellon has had a long history with the Sundance Film Festival. For more than a decade, students in the Master of Entertainment Industry Management, a joint program with Heinz College of Information Systems and Public Policy and the College of Fine Arts, attend the festival. And alumni and faculty have appeared in films or served as producers behind the scenes.